Happy Friday the 13th! It’s the second of three Friday the 13ths this year, the last one being Baby2’s due date. I feel like we’re quickly getting so much closer to it! 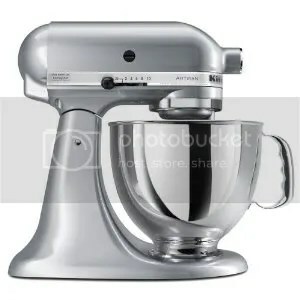 Baby is about 14-1/2 inches long this week – the height of my KitchenAid mixer! I love my mixer, even though I don’t use it often enough. Mine was a gift from Mr. Handsome about three years ago, I think for Christmas! I have made some yummy comfort foods with it, if I do say so myself. This week my poor family could use some comfort – everyone except me has been sick, and that includes our dog! Last week, Kiddo1 woke up complaining that he couldn’t hear out of one ear. I kind of assumed he slept on it wrong (is that an odd assumption?) so that he was exaggerating a bit… lately it seems like something is always hurting him. But the loss of hearing persisted so I took the day off last Thursday and took him to the doctor’s office. Turns out, he had his second-ever case of Swimmer’s Ear (you can get it even if you haven’t been swimming!) so we got hooked up with some drops. He has to have drops in his ear four times a day for five days. We wrapped up the drop routine on Tuesday and he reports hearing and comfort restored. Hopefully everything will check out when we go back to the doctor on Monday afternoon. Meanwhile, Mr. Handsome has had a bit of a cold with a whole lot of cough. Let’s just say neither one of us slept very well earlier this week! It seems like Mr. Handsome has been fighting back colds for the last couple weeks. I feel bad for him but very lucky for myself since I haven’t picked anything up! Finally, our pup, Max, has been sick too. Last week he stopped eating; he hardly ate anything at all for a few days. So I took him to the vet on Friday, the day after Kiddo1’s doctor visit. Ah, the vet’s office: Max hates it because they poke at him and I hate it because they take all our money! He was a bit dehydrated but otherwise nothing seemed wrong so they wanted to take X-rays. They were very concerned about him not eating. They also pumped him full of some electrolytes and fluids to get him re-hydrated. $600 later the diagnosis was Gastro-something-or-other and he was on a special diet for a few days. He’s still not feeling 100% better, but at least his appetite has improved. We go back to the vet on Monday, too, so hopefully they’ll have more to tell us about what they think the problem is. All through this I’ve felt pretty good, no sickness at least, but I had another round of crazy Braxton Hicks on Monday night. I ate a big dinner – I’m thinking the resulting indigestion probably brought them on. I wouldn’t call them painful, really, but the longer they lasted the more annoying they became, for sure. They started around seven. I started to drift in and out of sleep for awhile around then. I woke up on the couch at one and felt much better, so I guess I just had to wait it out. I drank a lot of water and, ahem, my dinner was digested and purged, so I hope that helped. As annoying as the Braxton Hicks are, I kind of like the practice they offer me. I am super psyched about going for a drug-free labor and delivery, but there’s always that thought in the back of my mind that I won’t be able to do it. I suppose these contractions help me to practice some breathing and talking myself through. They aren’t all bad… I guess. Total weight gain: I’m calling it 21-1/2 pounds because I don’t think 21 or 22 pounds is entirely fair. A whopping two pounds of that is all baby! Cravings: Asparagus looks very yummy this week, perhaps because I’ve been seeing it front-and-center at all the food stores. It must be in season! I feel like my diet has been pretty good the last couple weeks. I’ve stayed away from ice cream and have made an effort (albeit a small one) to limit my carb intake. Lamest symptom: The aforementioned Braxton Hicks were a bit lame. There are pros and cons, as noted. Exercise this week (the goal is 210 minutes): I just barely made it this week – 210 exactly! I’m proud of myself because this week was crazy, what with the sicknesses and KIddo1 started soccer and a dance class this week, so I didn’t have a lot of free weekends. Also, I started water aerobics this week! I hope to write more about it in a few days, or maybe after I’ve had another couple of classes. This week, your baby weighs almost 2 pounds (like a head of cauliflower) and is about 14 1/2 inches long with legs extended. He or she is sleeping and waking at regular intervals, opening and closing those little eyes, and perhaps even sucking on his or her fingers. With more brain tissue developing, your baby’s brain is very active now. The lungs are still immature, but they would be capable of functioning – with a lot of medical help – if your baby were to be born now. Chalk up any tiny rhythmic movements you may be feeling to a case of baby hiccups, which may be common from now on. Each episode usually lasts only a few moments, and they don’t bother your baby, so just relax and enjoy the tickle. Posted in Weekly Update and tagged birth prep, cravings, exercise, fetal development, head cold, nutrition, others' comments, symptoms, water aerobics, weekly update. Bookmark the permalink.